If you express interest in our services, we will add you to our promotional mailing list automatically. You can easily unsubscribe at anytime. We will not re-subscribe you if you have removed yourself from our list. We do not sell or share your address with any other parties. The Google Analytics, Google AdWords, Google Analytics cookies and Google created scripts and files record your visits to our website. Google will use those cookie sets for our advertising and that of others in the Google AdWords in-market and similar audience settings. We do not control the cookie set action, scripting, or the ads (other than those for Allison Pest Control) that Google will choose to show to you as you visit other websites. Concerns you have about advertising you see after visiting the Allison Pest Control website should be directed to Google and Google AdWords via the links in the paragraph above. We do not have control over when and where Google decides to show ads from your cookie sets after your visit to AllisonPest.com. To remove your consent for our cookies you need only click to remove your consent in the cookie approval box. Look for a small blue dotted circle on the bottom left of any website page and then click it to open and remove your approval. To remove your consent from Google cookies you will need to visit the Google Ads Preferences Manager and the Network Advertising Initiative opt-out page. We are not using Google Analytics special User-ID function to track and report your actions across multiple devices. Nor do we import our e-newsletter mailing list to Google Analytics for targeting and tracking purposes. We do make every effort to retain the shortest time period of for user event and data retention that Google Analytics allows which is 38 months. If we change our data retention policy we will post it here. 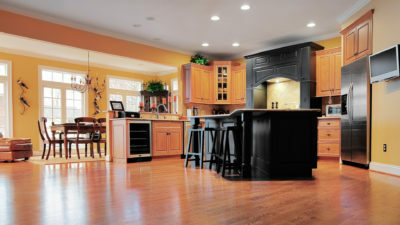 Allison Pest Control is the sole holder of the information collected on all areas of this site. We will not sell, share, or rent any information to others. Third party vendors including Google AdWords will use special cookies to deliver advertising on various websites not owned by Allison Pest Control. You can choose to opt out of this type of advertising by visiting the Ads Preferences Manager. You may also opt out of third-party vendor’s use of these advertising cookies by visiting the Network Advertising Initiative opt-out page. All materials on this site are the property of Allison Pest Control and are protected under the copyright and trademark laws of the United States and other international jurisdictions. All material on this site has been made available for educational purposes and is intended for personal, non-commercial use. No material from this site, in whole or in part, may be reproduced, retransmitted, republished, altered, duplicated, or publicly displayed without the written permission of Allison Pest Control. Any unauthorized use will subject the user to civil or criminal liability under applicable laws. Allison Pest Control specifically reserves and retains all rights which they have in any data, files, images, text and code. When using this website, the user agrees to comply with all applicable federal, state and local laws and regulations. Under no circumstances will Allison Pest Control be liable to any user on account of that user’s use or misuse of any information contained in the Allison Pest Control website. Such limitation of liability shall apply to prevent recovery of direct, indirect, incidental, consequential, special, exemplary, and punitive damages whether such claim is based on warranty, contract, tort (including negligence), or otherwise, (even if Allison Pest Control has been advised of the possibility of such damages). Such limitation of liability shall apply whether the damages arise from use or misuse of and reliance on the Allison Pest Control website, from inability to use our information. Some states or other jurisdictions do not allow the exclusion or limitation of liability for incidental or consequential damages, so the above limitations and exclusions may not apply to you. The user assumes all responsibility and risk for the use of the Allison Pest Control website. By accessing this site, the user specifically acknowledges that Allison Pest Control is not liable for any loss or damage caused by or arising out of any use of this website. Allison Pest Control does not assume any legal liability or responsibility for the accuracy, incompleteness or usefulness of any information found on this site. In no event shall Allison Pest Control be liable for any special, indirect, direct, incidental, punitive or consequential damages or any damages whatsoever resulting from loss of use, whether in an action of contract, negligence, or other tort action arising out of or in connection with the use, inability to use, or performance of our information, including without limitation use of or reliance on information available on AllisonPestControl.com, interruptions, errors, defects, mistakes, omissions, delays in operation or transmission, non delivery of information, disclosure of communications, or any other failure of performance. 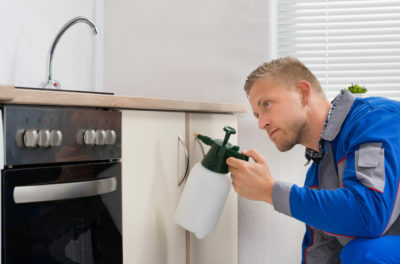 The Allison Pest Control website is provided to the user on an “AS IS” basis, and no warranties, express or implied, are made by Allison Pest Control, regarding www.AllisonPestControl.com or any services or products provided through or in connection with user’s use of this website. Allison Pest Control expressly disclaims all warranties with respect to AllisonPestControl.com, including without limitation: (1) any warranties as to availability, accuracy, or content of information, products or services; and (2) any warranties of merchantability or fitness for a particular purpose, some states do not allow the exclusion of implied warranties, so the above exclusion may not apply to you. All materials found within the Allison Pest Control website including content, images, all scripts, HTML code, PHP code, and Cascading Style Sheets are our intellectual property, unless otherwise noted, and these items are copyrighted under United States and International law. Allison Pest Control collects aggregate information in the form of log files recorded by our web server. This information includes how many visits we have had to our web pages and the address of the referring page. We use this information to analyze trends, administer the site, track users’ movement through the site, and gather broad demographic information for aggregate use. None of this information is linked to personally identifiable information. At no time is this information shared with any other parties. All materials found within the Allison Pest Control website including content, images, all scripts, HTML code, PHP code, and Cascading Style Sheets are copyrighted under United States law and the stoppage of unauthorized use of these items is enforceable by law. Using our content without authorization may make you or your company subject to litigation and monetary damages. Each individual document published by Allison Pest Control on the World Wide Web may contain other proprietary notices and copyright information relating to that individual document. Nothing on the Allison Pest Control website shall be construed as conferring any license under any of Allison Pest Control’s or any third party’s intellectual property rights, whether by estoppel, implication or otherwise. This publication is provided “AS IS” without warranty of any kind, either expressed or implied, including, but not limited to, the implied warranties of merchantability, fitness for a particular purpose, or non-infringement. Any of Allison Pest Control publications may include technical and/or typographical errors. Allison Pest Control may make changes in these publications at any time without notice. In no event shall Allison Pest Control be liable for any damages whatsoever, and in particular Allison Pest Control, shall not be liable for special, indirect, consequential, or incidental damages, or damages for lost profits, loss of revenue, or loss of use, arising out of or related to the Allison Pest Control website or the information contained in it, whether such damages arise in contract, negligence, tort, under statute, in equity, at law or otherwise. These policies shall be governed by the laws of the State of New Jersey. You agree that any action at law arising out of or relating to these policies shall be filed only in the state or federal courts located in Monmouth County and you hereby consent and submit to the personal jurisdiction of such courts for the purposes of litigating any such action. These terms along with the terms of the Allison Pest Control Policies are the entire agreement between us relating to the subject matter herein and agreed to by your use of our website. Our policies were updated on May 9, 2018.